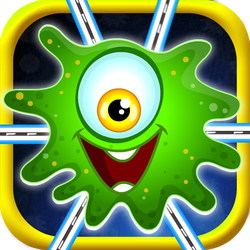 It is a fun and addictive brain and puzzle game. Trapped! Mons Monster Land was being attacked and all monsters are trapped. The Land is in danger now and all they need is to be released. Your task for this game is to remove all joints to release those sad monsters to let them escape from kidnapping by moving strategically among them and you are not allowed to cross or overlap the same path. 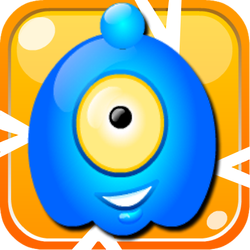 Do it as fast as you can, with as few moves as possible and get the least possible amount of time to solve!Download Free Monster Escape brain and puzzle game now. Download Now! With 400 exciting levels of different difficulty. Have you ever play a game with unlimited fun and joy? Competing score with your friends? Here the game for you to have lots of fun. Adventurous milky boy, travelling on his journey across the milky way. 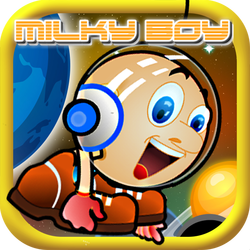 As a player, help the milky boy to have fun time travelling continually. This game is perfect to play with your friends, your agility contest and friends in playing this. Obtain and fight for the highest score and show it to your friends. It is a brand new addictive puzzle game. It is simple yet very fun to play. An Alien came from outer space on his journey of adventure. In the way, his spaceship crashed into a planet and trying his best searching for resources to fix the ship. As a player, your task is to collect all the required resources in each level before the bomb timer ended. This game is very much different where to transport/move the alien you have to rotate the world instead of just controlling the alien itself. The LUCKY BIRD is here! Flap the little lucky bird's wings and fly away in this lucky garden. This time, the bird will be very lucky to fly and pass all the obstacles. It is your job to decide whether the bird is lucky or not! Dear Players, as you all know Flappy Bird has become a trendy game since the year 2013 and it is a 2013 mobile game notorious for its difficulty level. 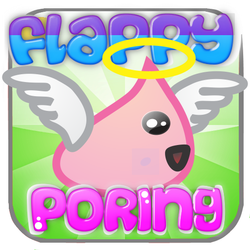 To continue and fulfill this trendy style of the game, we decided to come out with our own version of this game called "Flappy Poring". Fly the Poring into freedom! If you like flappy bird, you will definitely love this game. Tap the screen to move the flappy poring up, and help it escape all castle obstacles. Make your way through the castles and start your adventure now! This game is an easy to learn game but hard to master adventure. Challenge yourself, challenge your friends, unleash your talent to get the highest point!! 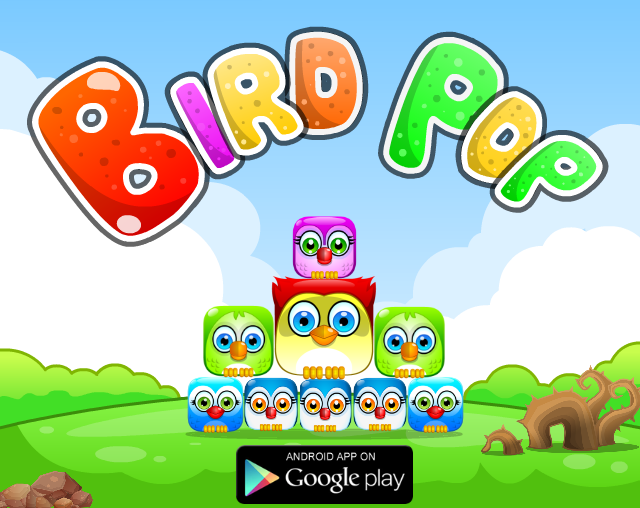 New game is arriving, Bird Pop has finally launched to the market, Check out and Enjoy the game! 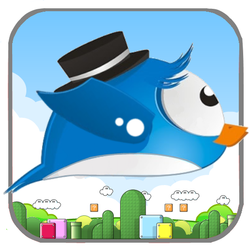 Bird Pop is a casual and addictive yet simple puzzle game with cute little birds creature. It's about moving the birds around by swapping, dropping and moving across. Play it fast! Your mission in each level is to try making three or more birds of the same kind in a line to disappear. Watch out for goals, you only have a limited number! 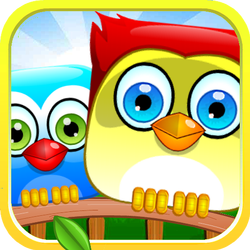 It's time for you to train your brain, move the bird strategically and have fun! With 72 exciting levels of different difficulty. Play now and solve all the puzzle! Free to leave us positive feedback and ratings in google play market, so that we will be motivated to create more worlds and levels. Get Free Download for the Game "Move The Jelly" also from Slide Me Android Market! Get the Move The Jelly Android app from SlideME. 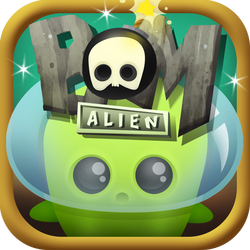 Move The Jelly Is now Available on the Google Play Market!! Move The Jelly is a highly addictive arcade game. If you like those "air plane landing" game (eg. Flight Control), then you will definitely like this game. Direct the Jelly back to their own homes. Tap on the Jelly to change direction up down left right, until it has successfully reach their own homes. The challenging part in this game, is to avoid 2 Jelly to collide each other, else the game will be over! Infinite Will Studio is an independent android games and apps developer team dedicated to bring fun and excitement to mobile users. We develop apps such as games and cool live wallpapers.